Invisalign vs Traditional Braces: Which is Right for You? Blog Invisalign vs Traditional Braces: Which is Right for You? Traditional braces have been the treatment of choice for straightening teeth for a long time, and they are still highly popular today. However, they are no longer the only solution, and they may not be the best for some patients. Billed as “the clear alternative to braces,” Invisalign entered the market in 1997, and it has become the preferred treatment for many patients and providers. However, most orthodontists provide both options, allowing patients to choose what is right for them. Here are four factors on which to base your decision. Invisalign takes the mystery out of straightening your teeth. Your orthodontist will use digital technology to create a 3-D computer model of your existing smile, and then morph it through the various stages of treatment including the end results. In addition, you will change aligners at home every two weeks, allowing you to watch your treatment progress. Traditional braces carry an air of mystery. Your orthodontist will explain the issues with your teeth and verbally describe what to expect after treatment, but you will not be able to clearly picture your finished smile. The braces will remain on your teeth the whole time, and they will be adjusted by your orthodontist. This means that when they are removed, you will have a big reveal, complete with looking at your new smile in the mirror for the very first time. Your personality will determine which is better for you. If you like a bit of mystique and are willing to put your treatment fully into your orthodontist’s hands, you may prefer braces. If you like to know what to expect, and want to monitor your progress throughout treatment, Invisalign is the better choice. Are you the type of person who likes to leave things to the experts? With traditional braces, your orthodontist does all the work. You only need to remember which foods are banned and when your appointments are, as well as what events, such as a popped wire, require an emergency orthodontist visit. Do you prefer taking responsibility for your own treatment? Invisalign puts you in control. The aligners are removable, allowing you to eat your favorite treats. 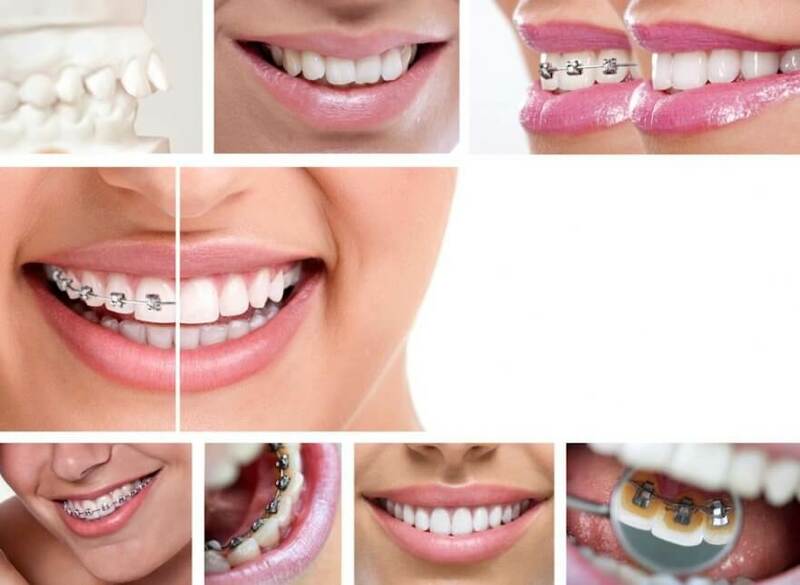 You will be responsible for changing aligners at home every two weeks or as instructed, and for ensuring that you wear it for the designated number of hours per day (typically 20 to 22). You will also need to make sure that you don’t lose your aligners when they are out of your mouth. You will only see the orthodontist for progress checks every four to six weeks. Until recently, Invisalign was more expensive than braces, but this is starting to change. Invisalign uses a transparent, upfront pricing system that includes all aligners and office visits, while the costs of adjustments and emergency appointments must be factored into the price of braces. In addition, cosmetic upgrades such as colored metal can boost the cost of braces. The Invisalign Teen system even includes six free replacement aligners in the price. For both braces and Invisalign, your dental insurance may or may not pay a portion of the costs. Our office staff can contact your insurance company to determine your out of pocket expenses for both options. Invisalign is the hands-down winner for oral comfort. Metal braces tend to cause pain when they are attached, and again with every adjustment. They can also scrape and cut the inside of the mouth. Invisalign’s smooth, medical grade aligners have no sharp edges. It is normal to feel some discomfort when the fasteners are first placed on the teeth, but the gradual shifting of the teeth with each new set of aligners is generally far less uncomfortable than having braces adjusted. Those who like making a bold fashion statement may enjoy the aesthetics of braces in a fun color. Those who are less self confident, though, do not always want to flash a mouthful of metal. Invisalign aligners are clear and virtually invisible. If you want to keep your dental treatment private, have a special event coming up, or work in a career that depends on aesthetics, you may prefer Invisalign’s more discreet look. Dr. Jennifer Stachel is a New York City dental specialist who has completed an advance post-doctoral course, accredited by the American Dental Association, in the specialty of orthodontics. Dr. Stachel is currently a member of the American Association of Orthodontists, American Dental Association and the New York State Dental Association. If you are ready for an orthodontics evaluation from a caring and trusted professional, call Jennifer Stachel Orthodontics today at (212) 877-7177.